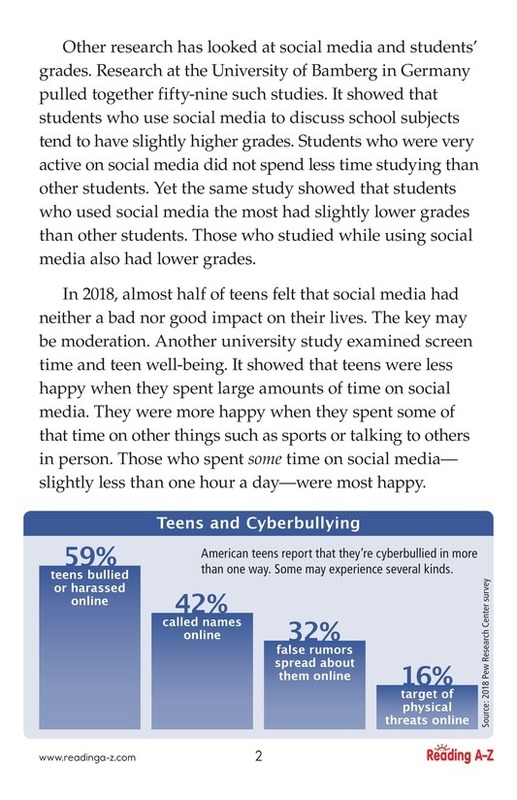 > Close Reading > Close Read Passages > Social Media: Good or Bad? 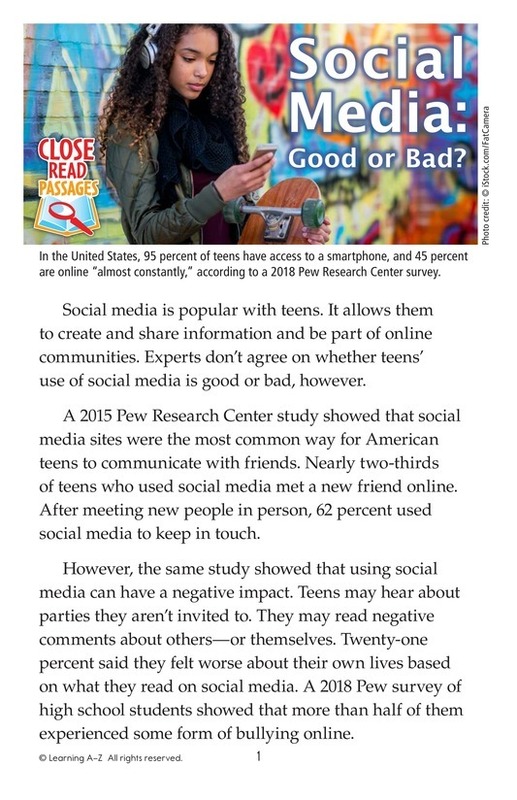 Social media is popular with teens, but is it good or bad for them? According to recent studies, the answer can be both.